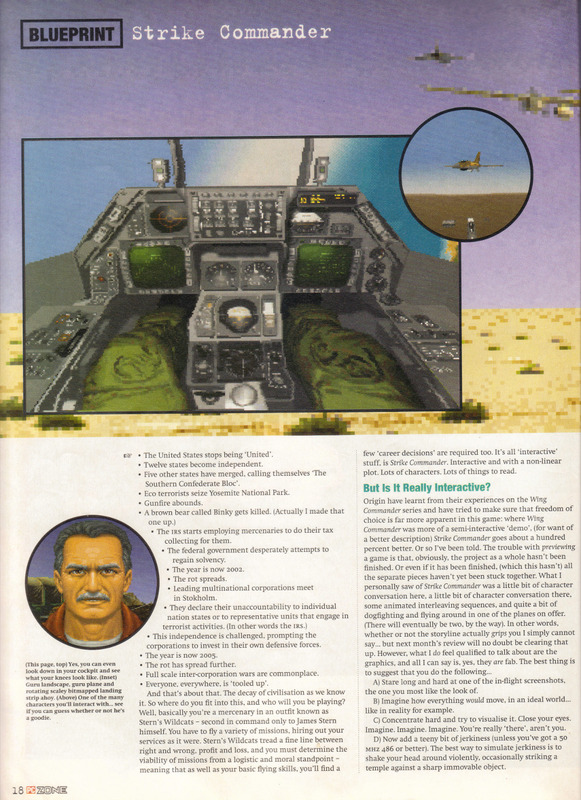 This is a preview of Strike Commander from Issue 2 of PC Zone back in May 1993. 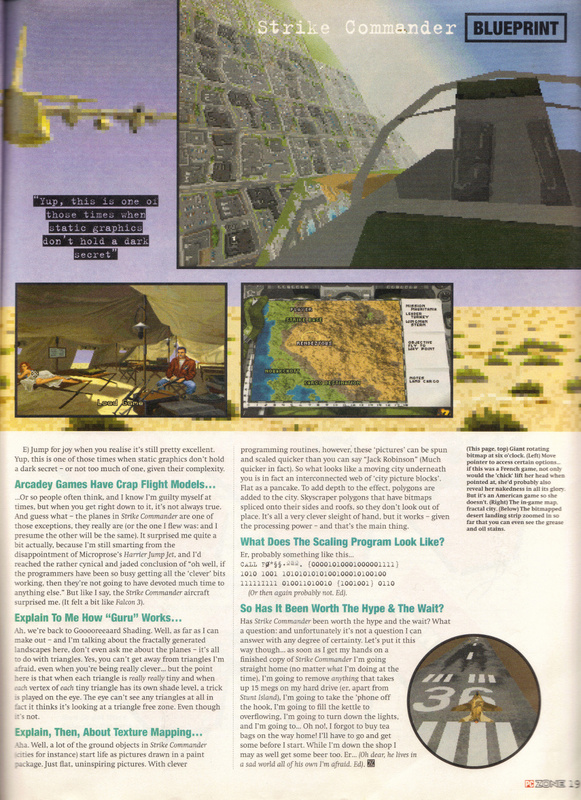 This was a decent month for PC gaming from my point of view looking through this issue. Not only have I played most of the games in there but I still own half of them. 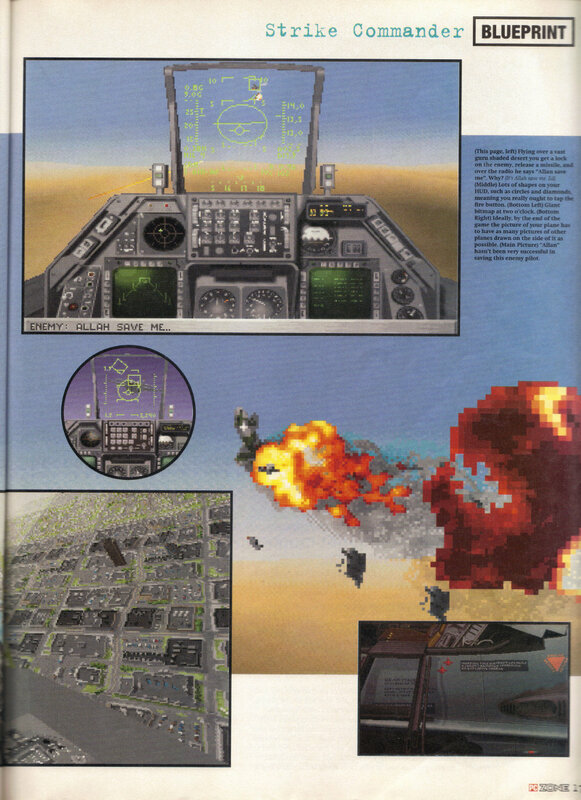 The highlight has to be X-Wing which is still a personal favourite. 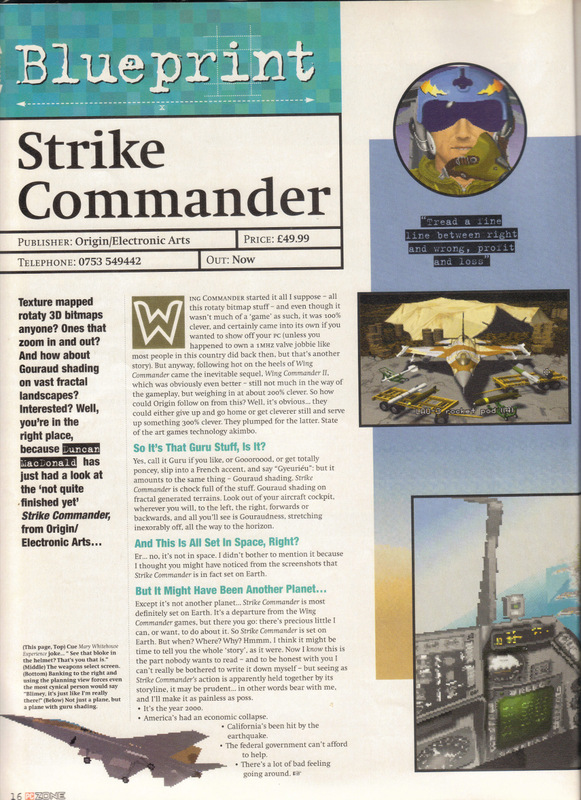 This entry was posted in Magazine Scans, Strike Commander by Pix. Bookmark the permalink.